In a small house, the walls are the place to imbue your home with that special something. They obviously don't take up any floor space, so they can be a fantastic way to style up your interior with almost total freedom. But it's important to remember that the walls generally take up a fairly large proportion of the visual space in a room. So a fairly subtle sample pattern can very easily look too much when covering the wall. 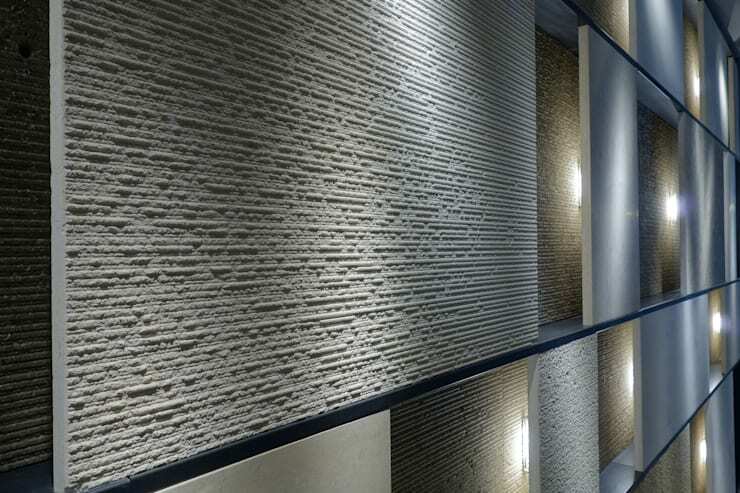 Neutral tones are often suitable and natural materials can be simply sublime. 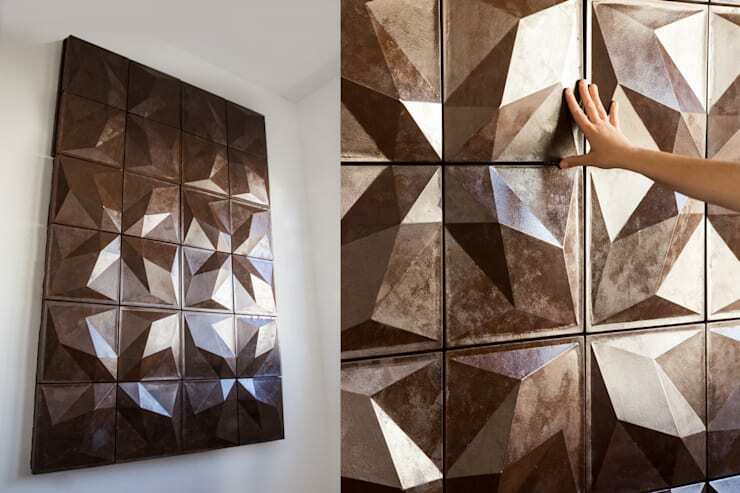 Let's check out 20 beautiful wall coverings for inspiration! 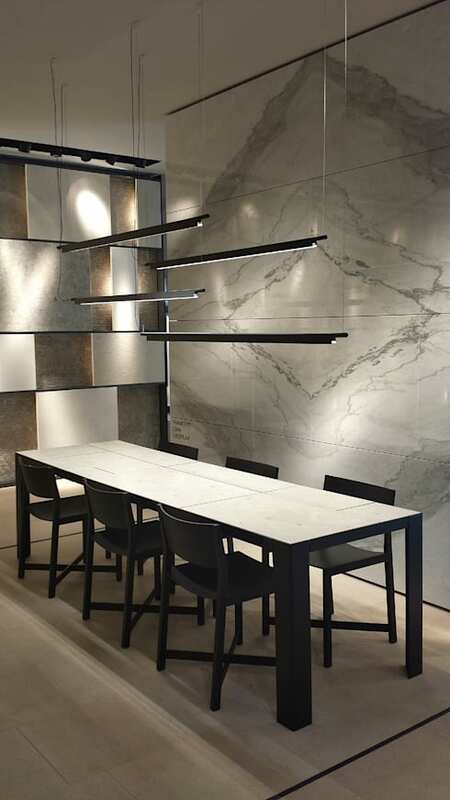 Marble is one of the most popular, luxurious natural materials to use for your walls. There are lots of different types of grain combinations. If you order some marble, just be sure to do it in one batch so the grains match. 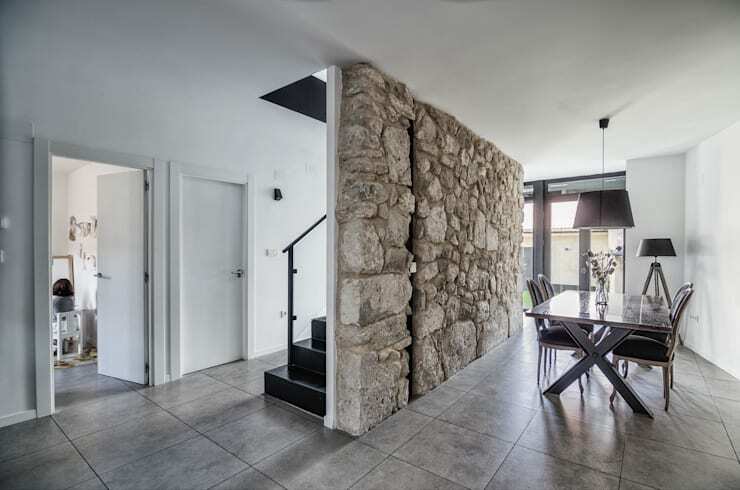 Stone vincenza is a very popular limestone found in Italy. It is a soft stone so it's ideal for detailed work. However, don't worry about its hardiness, it hardens once exposed to the elements. Chunky, uneven stones don't need to be banished to the outdoor areas. They can make a big statement indoors too. It's best to use it in small, judicious chunks within the home. 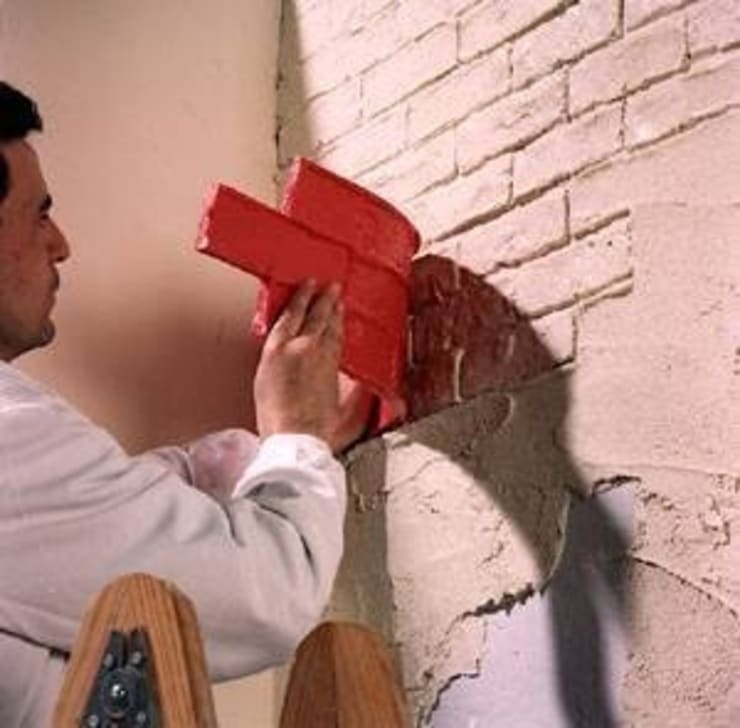 Strictly speaking, brick is a structural material and not a wall coating. 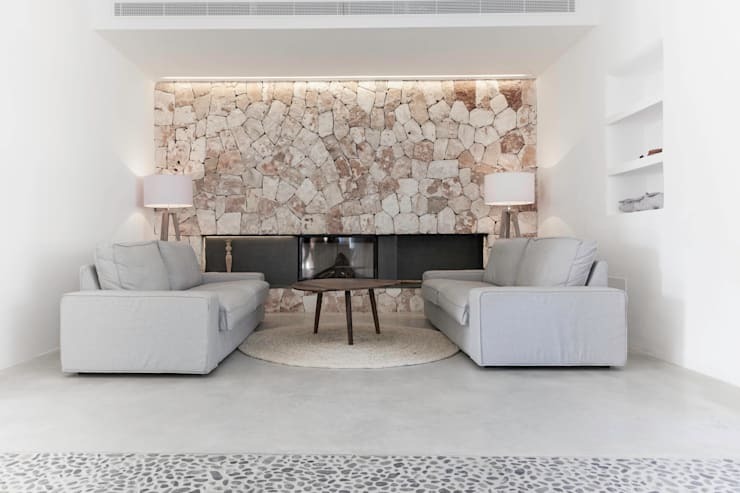 But these days you can buy small slivers of brick tiles that can easily be attached to any flat surface to create the impression of a rustic old wall. Acrylic molds can also be used in conjunction with cement mix or cement bond. This is a little messier to apply, but there is less weight involved. 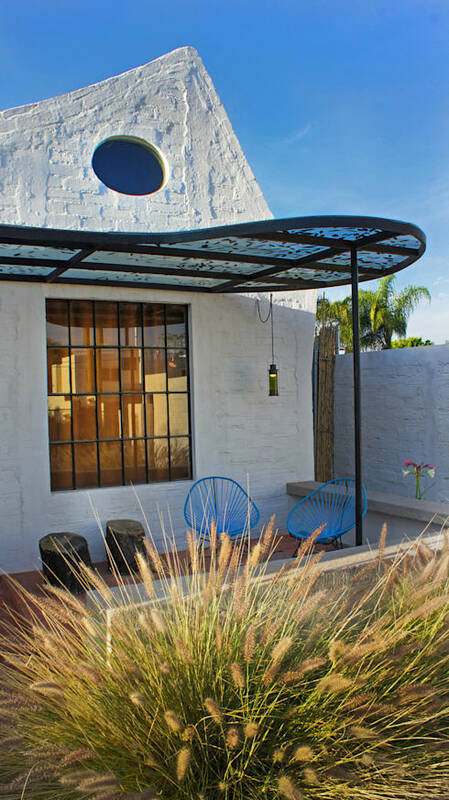 This is good if you like the look of a mud brick. Melamine is one of the most popular materials around today. The hard plastic surface gives it an instant polish that's perfect for most rooms. However, it's essential to make sure any cut edges are properly sealed because the wood inside will instantly soak up water and show damage very easily. 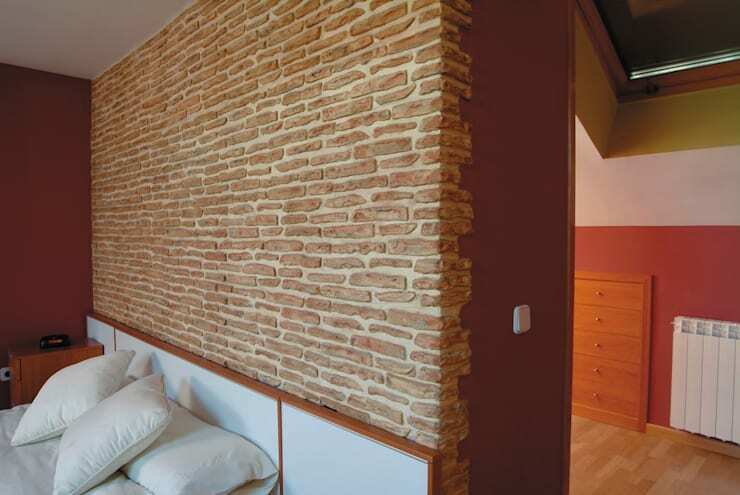 Decorative stone, like tile bricks, is quite thin and easy to install on a standard flat surface. It's good for those who don't want the expense and hassle of actually changing out the walls. Wood is an old standby option that has endless appeal. The beauty of wood is that it's quite neutral, so it suits a huge range of interiors. It also adds a lot of natural warmth to the room. 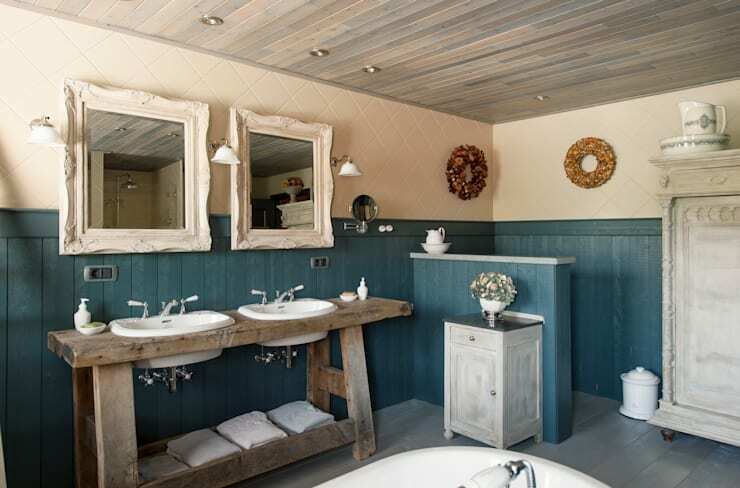 Painted wood gives you both colour and a subtle rustic theme. It is an essential part of the shabby chic look. 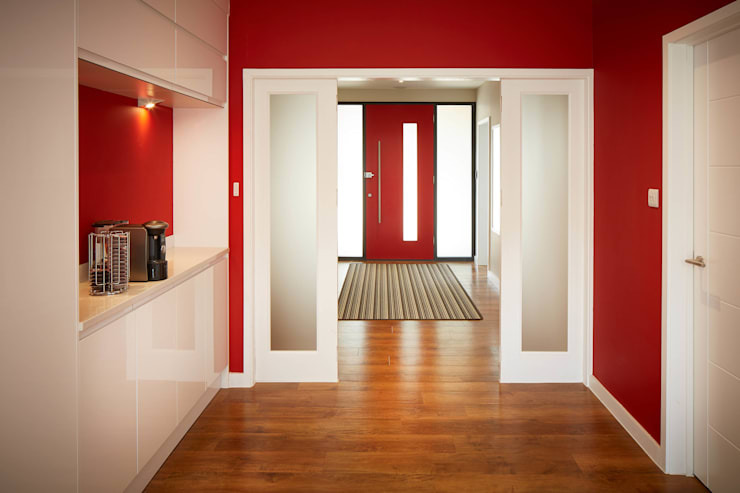 Consider the benefits of installing coloured panels on the lower half of the room like this. Metallics are hugely popular at the moment. Metallic tiles in particular will reflect tiny shards of light and generally make a room look just that little bit lighter. This makes them particularly good for windowless bathrooms. 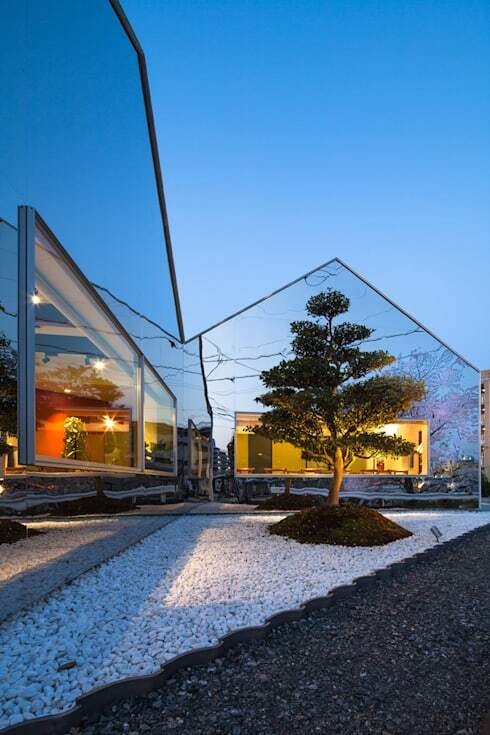 This incredible home shows just how far you can go with mirrors. 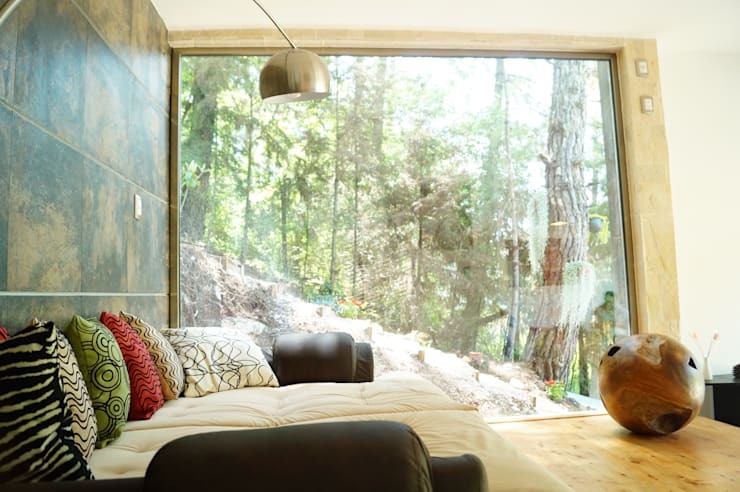 They reflect light, expand the sense of space and make any room feel larger. Just be sure that they reflect a pleasing view. Three dimension ceramics are a little edgy and different. They are pleasing to touch and will certainly become a talking point in the home. The shifting shadows they form as the light changes throughout the day can be quite beautiful. The slate tiles on the left have a beautiful mottled pattern that reflects the view outside the window. 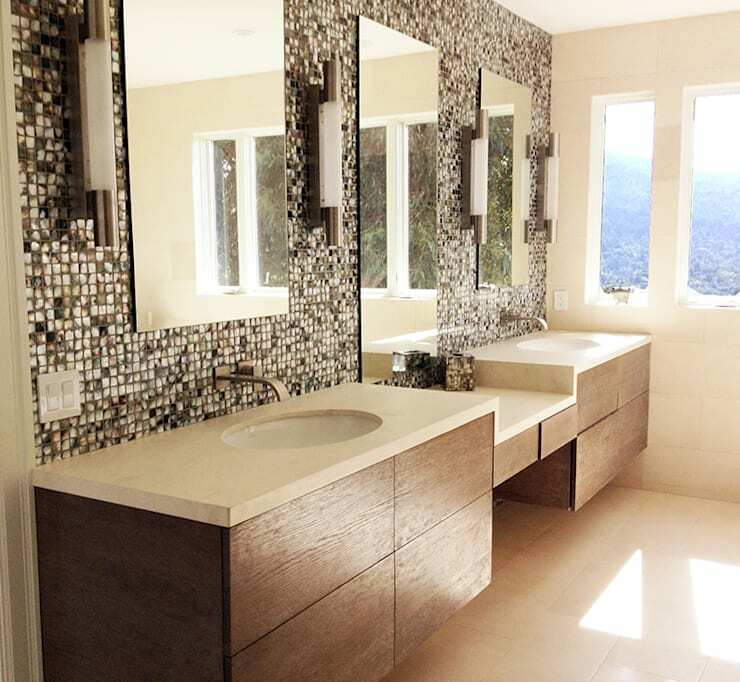 This kind of tile is good for those keen on a rustic themed decor. 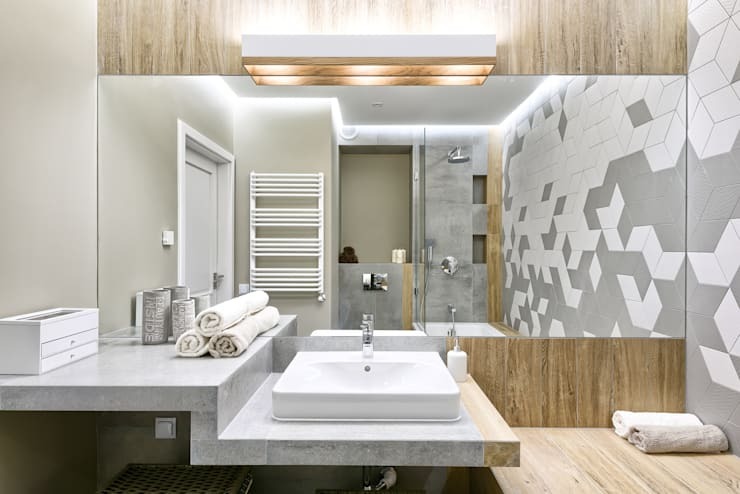 Geometric tiles are the domain of Scandinavian-style interiors. They are slightly fresh and pack a fairly powerful visual punch so it's often a good idea to make them monochrome. They look great in this bathroom. 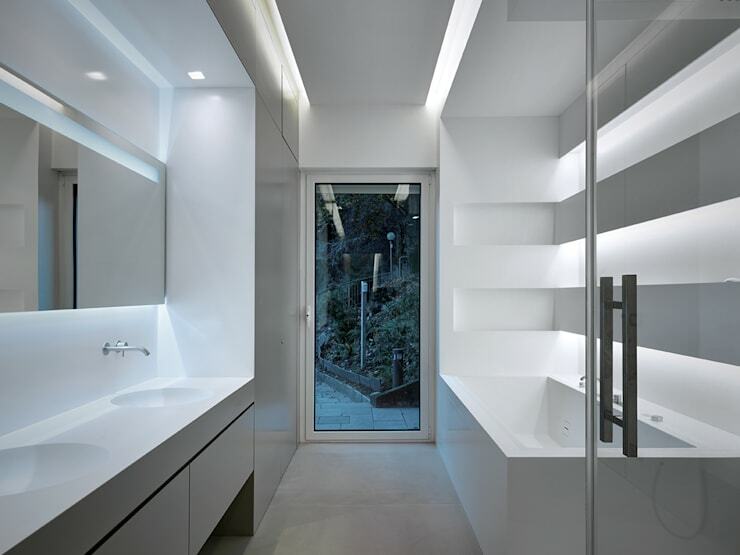 Plasterboard is a classic old standby for very good reasons. It's totally smooth, light and easy to install. The only issue is that it provides almost no structural support if you want to hang pictures on the wall. Lime whitewash is a very old covering that's very cheap and environmentally friendly. It can be mixed with water to create a fresh, crisp look to your exterior. It also deters certain insects from entering the home. Steel was once the domain of government buildings, but it's now popular in industrial style homes. It has a very practical, sturdy look and can easily be brightened up with a coat of paint. 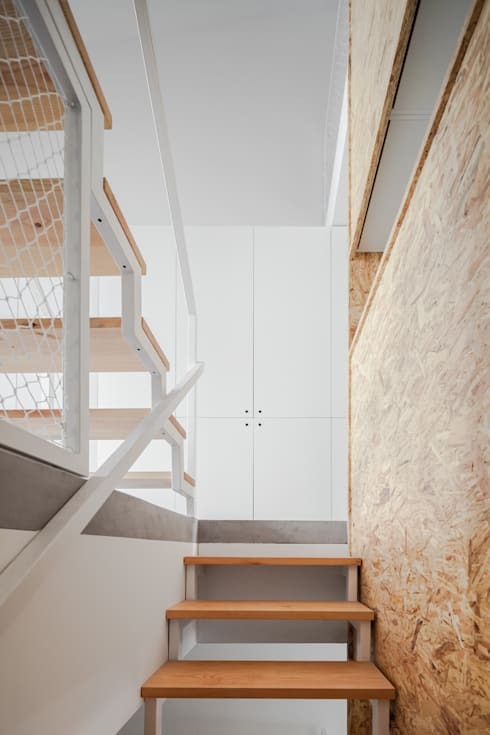 Compressed wood is increasingly popular. Modern variations are incredibly sturdy and there are even several compressed wood skyscrapers under construction at present. 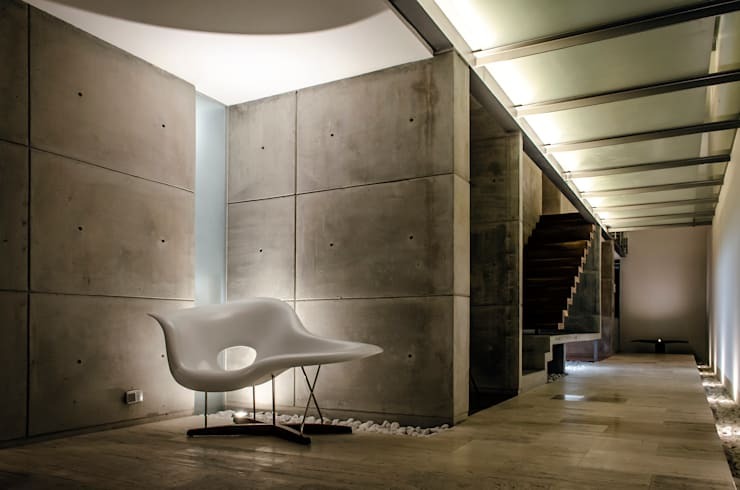 Concrete panels have a beautiful, raw quality that suits minimalist style dwellings. They can be left unvarnished or polished up for a slick effect. 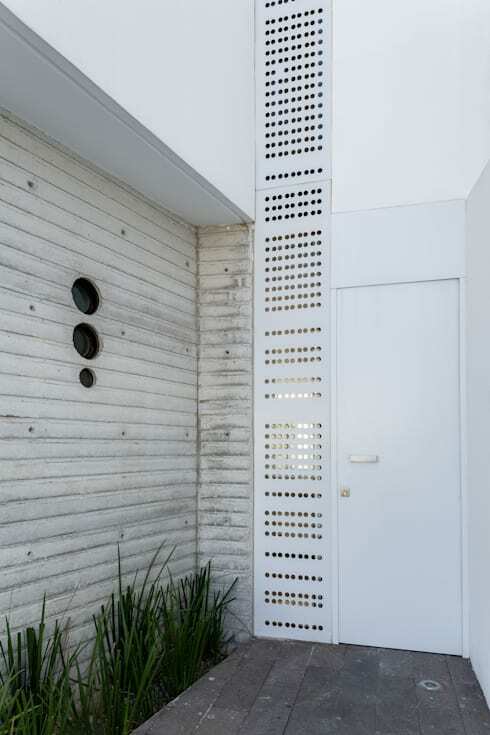 We absolutely love the decorative steel panel running alongside this doorway. It's simple, sophisticated and gives the entrance area a very subtle sort of decorative quality. An interior designer or decorator will always be able to help out with this kind of thing. 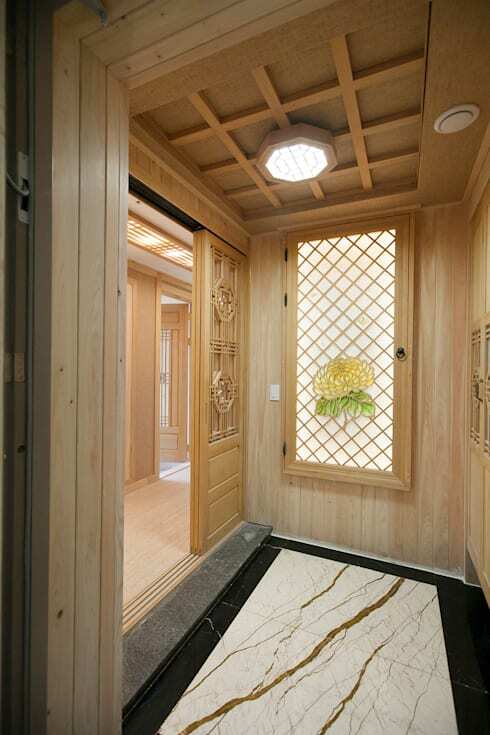 For more home ideas, have a look at 18 entrance hallways your guests will love. Which of these walls is your favourite?